"Ginger, It's hard to believe that our fantastic trip was 6 months ago. We still talk about all the beautiful sights, wonderful food, and delightful people. None of us can thank you enough for planning such a dream trip for us. Wishing you and your family a Buon Natale!" 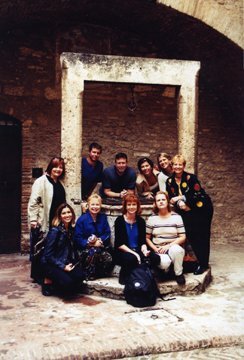 Jan S.
Designing Italy creates customized itineraries for groups such as family reunions, anniversary celebrations, friends gathering for a week at a villa in Tuscany and more. Read about our customized group Italian Adventures!